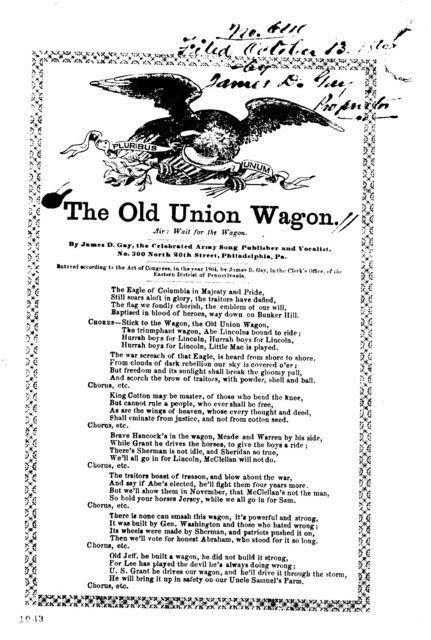 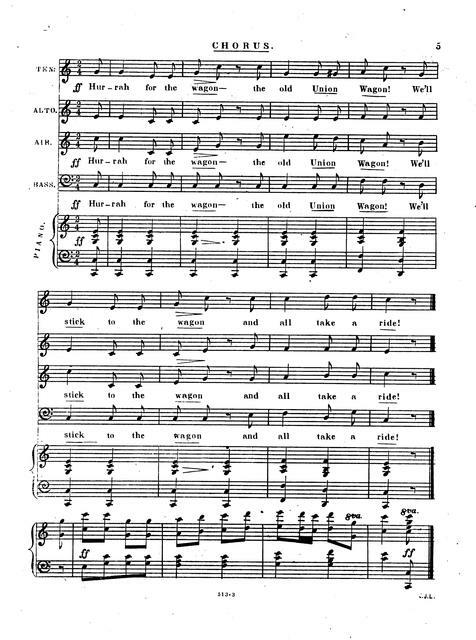 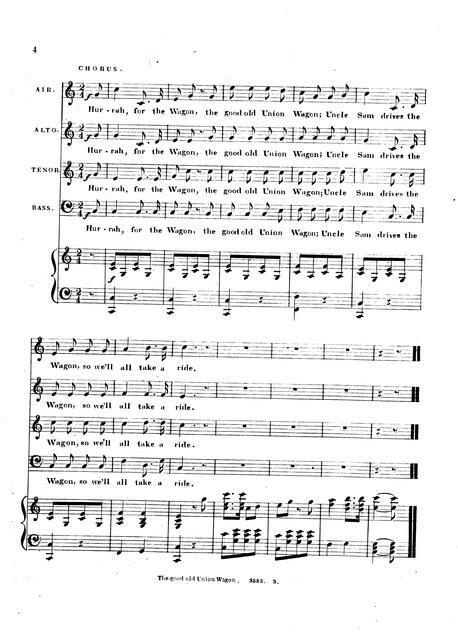 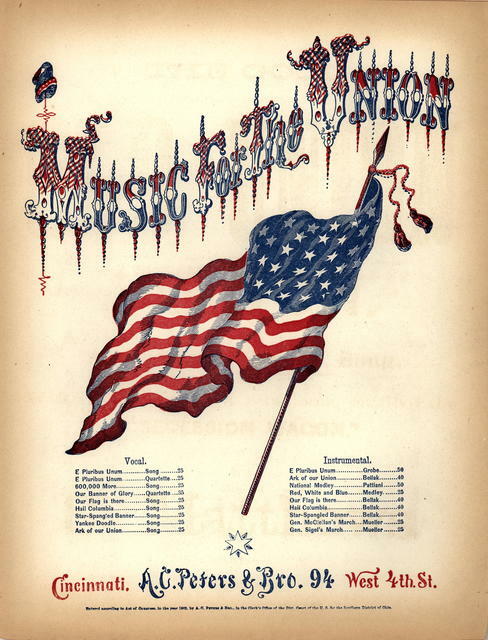 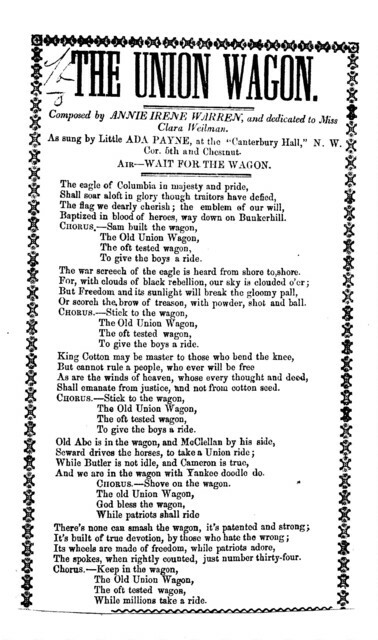 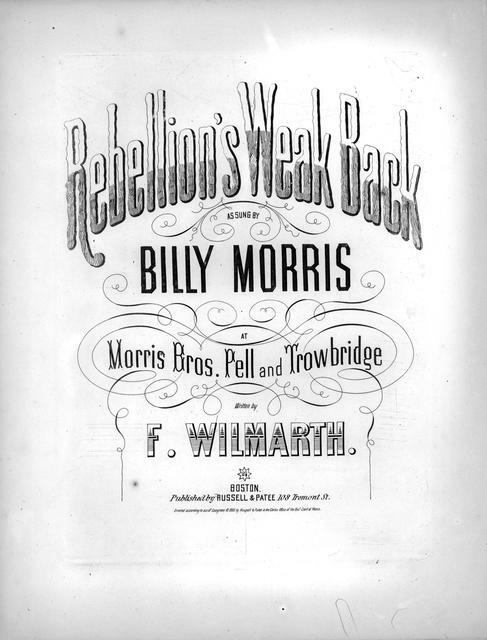 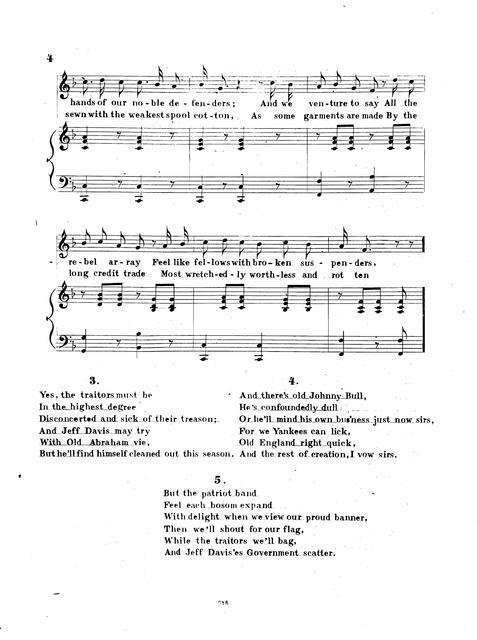 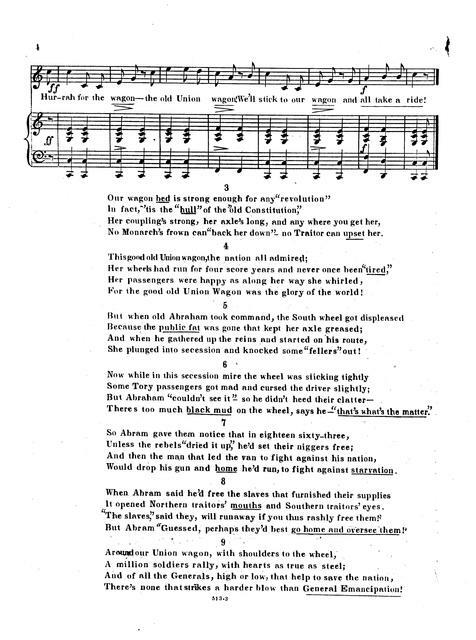 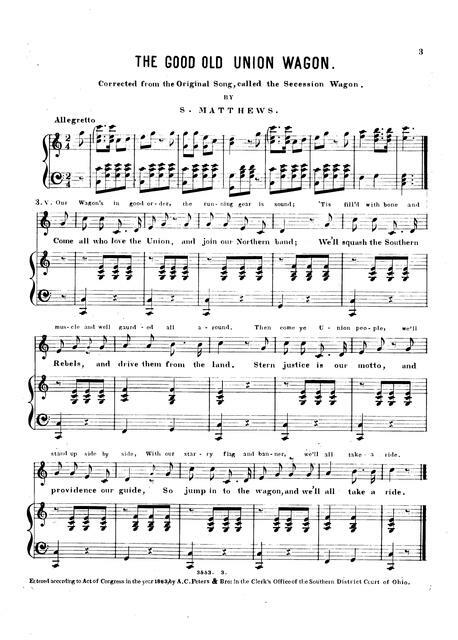 Rebellion's weak back : as sung by Billy Morris at Morris Bros., Pell and Trowbridge written by F. Wilmarth. 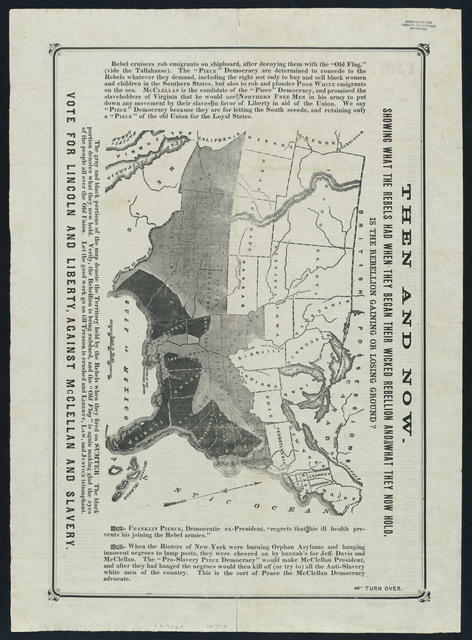 Letter to S. A. Hurlburt from U. S. Grant, October 8, 1863. 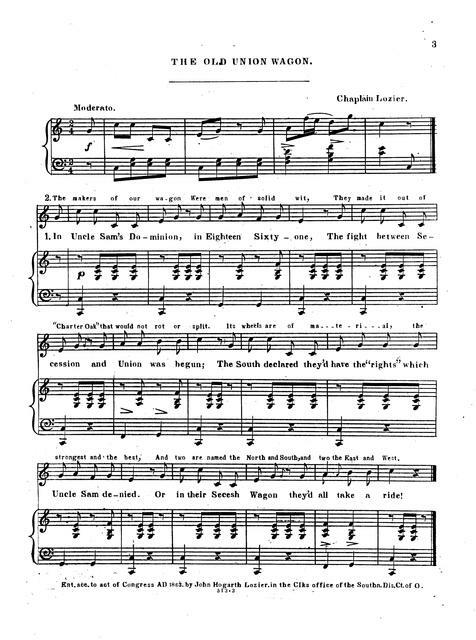 Three cheers for Abe and Andy: a song for the times by Chas. B. Brigham. 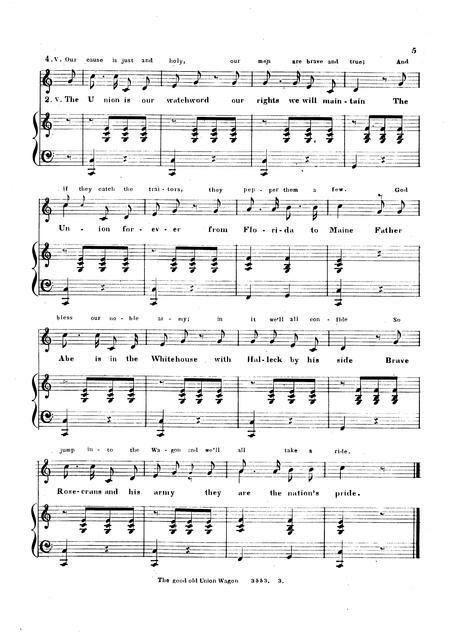 Facts for men who do their own thinking. 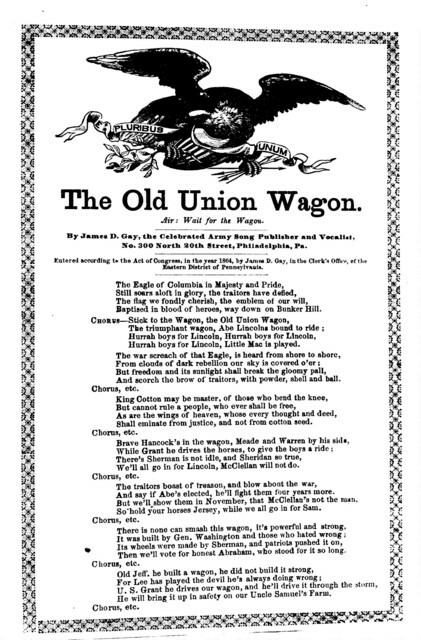 The two platforms, one positive for freedom and union, the other for secession and slavery.